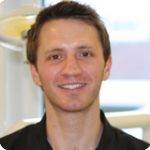 Jonathan graduated in 2004 from Dundee University, since then he has completed a year-long post graduate course in ‘The Principles of Implant Dentistry’ at the University of Warwick. Alongside this, he frequently attends many other courses in implantology along with various other aspects of dentistry including cosmetic, aesthetic, preventative and restorative dentistry. Jonathan became the Practice owner and Principle Dentist in 2006 and strives to maintain the Practice’s sterling reputation. He is keen to instill a client centered ethos to the whole practice and to ensure that each patient is treated as an individual. He is acutely aware of the importance of taking time to discuss with each patient all possible treatment options and to ensure that they understand and have confidence in the service provided. In his spare time and when he gets the opportunity, Jonathan enjoys a range of sporting activities such as downhill mountain biking and snowboarding. To keep fit he also enjoys running and playing five a side football on a weekly basis. Beatriz graduated in 2002 from Universidad Complutense de Madrid then moved to Aberdeen in 2003 to begin her career as a Dentist. 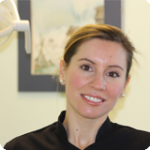 She practices general dentistry and since the completion of a 1 year course in London has developed a special interest in Cosmetic and Aesthetic Restorative Dentistry. This has provided her with the skills to conduct much more complex aesthetic cases. She takes great satisfaction in improving the smiles of her patients and is qualified in the orthodontic procedure “Six Months’ Smile”, which in turn can make dramatic changes to patients’ appearance and confidence. Beatriz’s talents do not end in dentistry, she has a keen interest in drawing and painting and has created the art around her surgery herself. She is also an all round sports person and enjoys activities such as running, skiing and travelling. John Cameron is originally from Aberdeen and is the most recent dentist to join the practice. In 2001, John obtained a BSc (Hons) in Chemistry at the University of Aberdeen and then went onto study dentistry at the University of Dundee, where he gained his BDS in 2006. 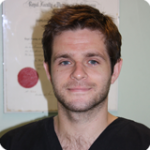 John has a strong commitment to Postgraduate education and has attended many courses in his key interests which include restorative/cosmetic dentistry, such as “Six Months’ Smile” and oral surgery. John is also qualified to carry out anti-wrinkle treatment procedures. He is keen sportsman and especially enjoys football, golf and outdoor pursuits. Lindsey began her career in the Dental sector in 2000 whilst working as a dental nurse in Inverness. Lindsey went on to study Dental Hygiene at Edinburgh Dental Institute and gained her diploma in 2005. 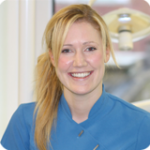 Lindsey joined the team in 2006 where she has gained a wealth of experience in Oral hygiene and is very popular with her patients. In her spare time she enjoys running, spending time with her family and socialising with friends.